The best ideas are developed in a convenient ambience. 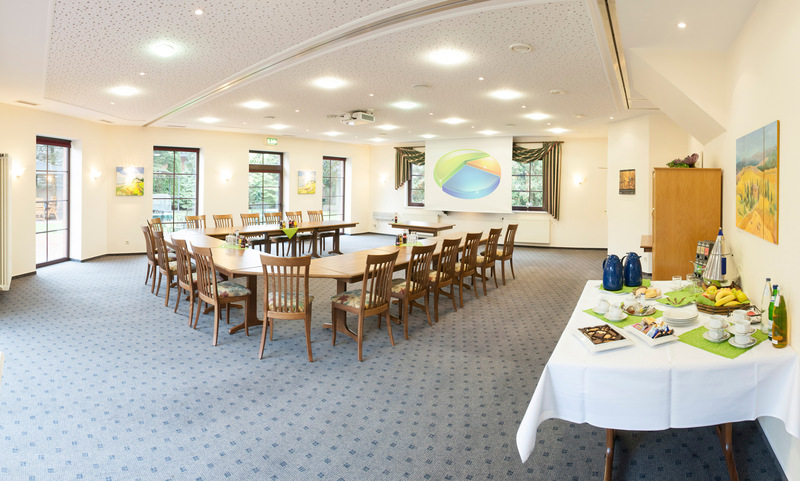 Our three conference rooms are modern, comfortable and at the same time cozy, offering space for up to 140 people. An adjoining workroom is also available if required. 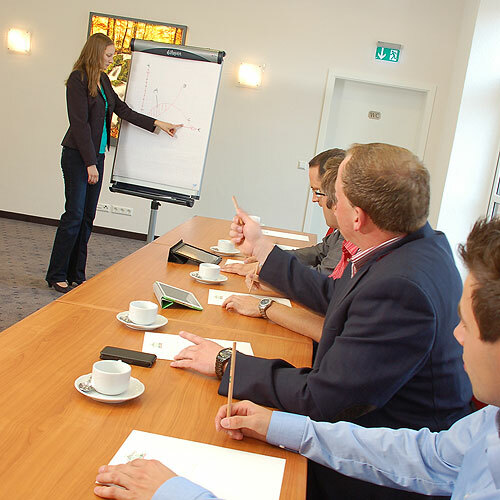 The conference rooms are equipped with state-of-the-art technology is included in all three conference packages. In a discreet and friendly manner, our service team will ensure you well-being by providing you with food and drinks before, during and after the event. If desired, you can combine our packages with overnight stays and/or a talbe served menu or buffet. ISDN connection, W-LAN, beamer, screen, flip charts, pin boards. You are welcome to extend your package individually, for example with a snack or a small breakfast on arrival. You can end the day with a dinner in our hotel. During summer we also offer a versatile barbecue buffet. Would you like an individual offer for your event? We looking forward to create a package that is suitable for your needs.